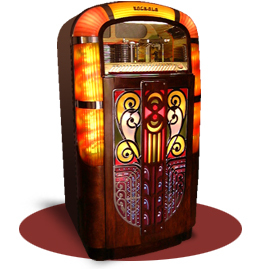 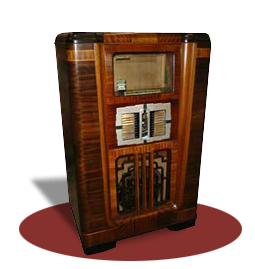 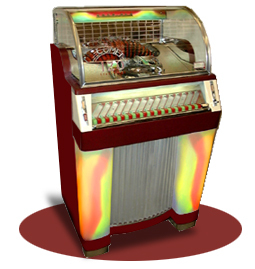 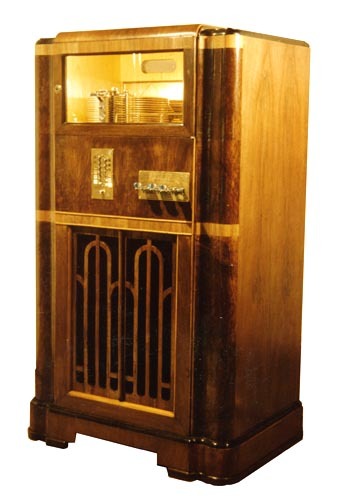 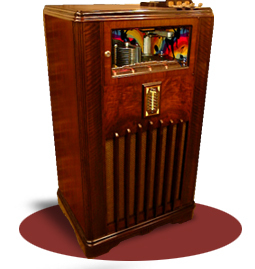 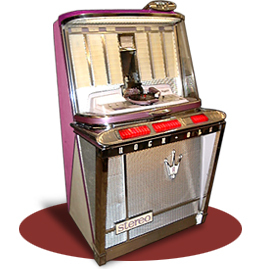 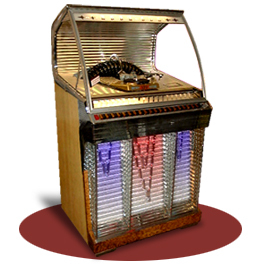 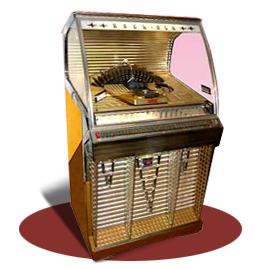 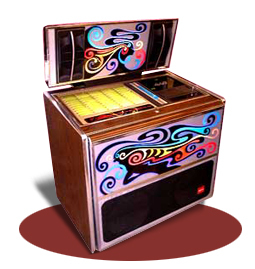 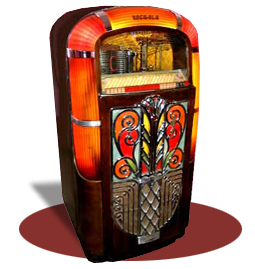 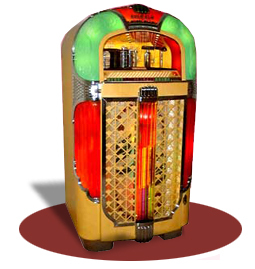 During World War II, Rock-Ola led the industry in telephone-line music transmission systems and after the war Rock-Ola introduced the “Magic Glo” series of jukeboxes in competition with the Fuller designed Wurlitzers. 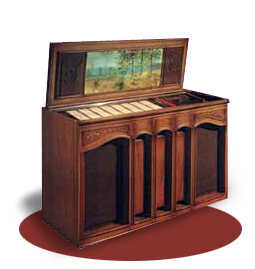 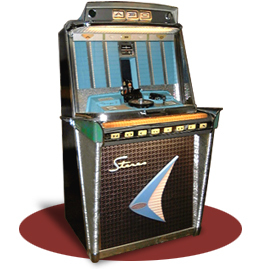 In the 1950s and ’60s Rock-Ola grew into one of the biggest manufacturers in the jukebox industry. 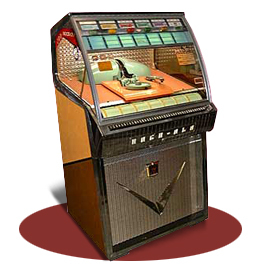 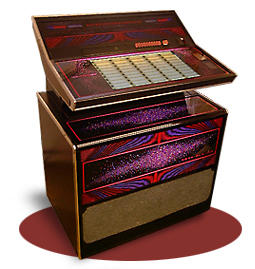 The company came up with many new ideas, being the first to make a full-featured jukebox that was so small it could be hung on the wall. 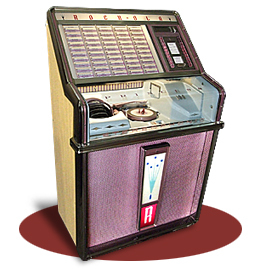 Rock Ola were also manufactured under licence in Mexico by INSSA, Venezuela, Australia, Denmark by Nordisk Automat Service and in Germany by NOVA. 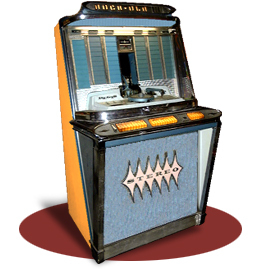 As the demand for jukeboxes went down in the ’70s, Rock-Ola wound down the business to almost nothing until Antique Apparatus bought the business in the early 90’s. 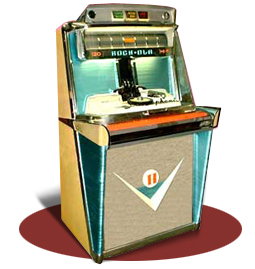 David C. Rock-Ola passed away at the age of 96 years in September 1992.